What’s the best day of the week to visit Universal Orlando? This might be the most popular question we’re asked by guests planning their vacations to Universal Orlando Resort. On this page, we will walk you through all the factors to consider when deciding on the best day, and we’ll also dispel some widespread misconceptions that might make the difference between a fantastic vacation and one that you could end up regretting. 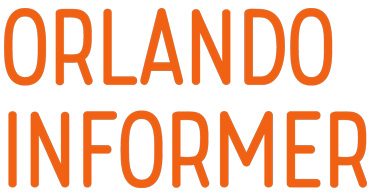 Here are, in order from most important to least important, the factors that will influence crowd levels and your ability to manage them at Universal Studios Florida, Islands of Adventure, both halves of the Wizarding World of Harry Potter, and Volcano Bay. The single biggest factor to ensuring that you have an enjoyable, positive experience at Universal Orlando Resort is to plan ahead. Surprising as it may be, somewhere around 90 percent of guests do not plan their theme-park visits beyond a rough sketch. 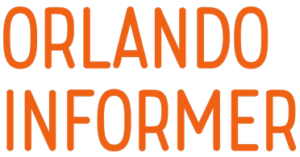 That percentage is even higher when you consider people who have decided to come to Universal Orlando, because – misconception number one – so many people still believe that Universal is “no Walt Disney World Resort,” so there’s no point in planning. Well, perhaps before 2010 this may have been true, but The Wizarding World of Harry Potter has changed everything. Here is a quick example out of the thousands of tips on our site, and it shows how a tiny bit of planning can be a huge help. That’s an hour wait, just to buy tickets and to get inside the turnstiles. It is so easy to skip that line – all you have to do is purchase your tickets in advance. But get this: if you buy your tickets in advance directly from Universal, you save $20 per person off the gate price on any multi-day ticket. Since the typical family gets a two-day park-to-park ticket, good for one day at each park, that means the average family will save $80 buying their tickets in advance and they get to skip that crazy line pictured above! Here’s a little more: purchasing your tickets in advance doesn’t mean you have to buy them weeks ahead of time. You literally can be standing in the line pictured above, call Universal’s ticket line at 407-224-7840, and buy your tickets. This counts as an advance purchase, so you’ll save the $20 per person, and you can get out of the regular ticket line and use the electronic Will Call Kiosks to quickly print your tickets. That’s one tiny example of how you can save time and money, and have a better vacation, by doing your homework ahead of time. We’ve got so much more expert advice in the OI Universal Center, it’s a little insane (you can see the full Universal Center table of contents here). The second-largest factor that will affect crowd levels and your ability to manage them is the season you are visiting. There is a reason, on some days, Universal’s theme parks are only open until 7:00 pm and Express Passes are only $70, while on other days, the parks are open until midnight, and Express Passes are $179 – theme-park attendance is seasonal. Maybe this goes without saying, but it never hurts to repeat it. Interestingly, there’s a misconception that serves as a counterpoint to this factor: don’t automatically assume that coming at the slowest time of the year is the best plan. 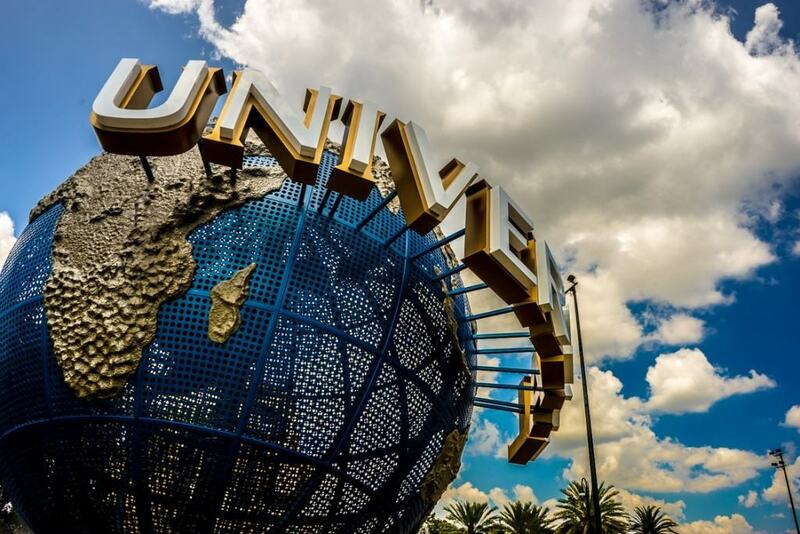 In our opinion, we think it is best to visit when the crowds are moderate; doing so will ensure that there are enough people around for there to be plenty of “excitement in the air,” and Universal’s unique brand of excitement is one of its incredible features. In addition, more guests usually mean longer operating hours. All in all, the season you are planning to travel in will have a significant influence on crowd levels and your ability to have a good time. You need to be aware of it and plan accordingly. See our Universal crowd calendar or our complete guide to Universal Express Passes for more information. 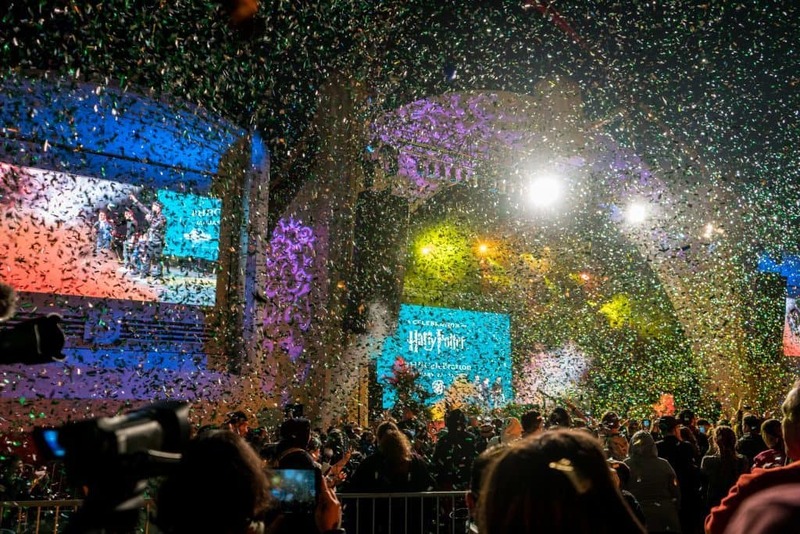 On January 26 to 28, 2017, Universal hosted A Celebration of Harry Potter, where fans enjoyed three days of unforgettable experiences – including interactive Q&As with Harry Potter talent and more. Besides the actual activities, what is noteworthy about this event is its dates: right in the middle of what would otherwise be a slow period for Orlando’s theme parks. The lesson here is that you need to account for special events. A family unaware of the Harry Potter celebration, who books their visit during the festivities, could be overwhelmed by two theme parks packed with muggles on-site to celebrate. Similarly, a family unaware of the event may schedule their vacation the weekend after, only to find out their Potter-obsessed kids could have participated if they planned their vacation the previous weekend (back when Celebration of Harry Potter was still being held, of course). Now, some events will be bigger than others, and some may work to your benefit in terms of avoiding crowds. Whichever way it might end up working in your particular situation, what’s important is that you are aware of special events at the parks and how those events affect crowd flow. See our Universal events section for more information. While this one definitely applies more to Volcano Bay than the dry parks, the weather forecast can impact crowds at all of the parks. On days the weather forecast calls for rain, Volcano Bay enjoys lower crowds. The fact of the matter is that rain may not ruin your day at Volcano Bay; in fact, it often allows for much lower wait times in the park. And in the summer, you’d be surprised to find that you’ll still be hot even in the rain. In Florida, weather can change dramatically in very short periods. A heavy downpour in the middle of the day can allow for lower crowds in the afternoon. Rain forecast for the entire day can cause guests, especially locals, to choose a different day to visit. It’s worth noting that most attractions at every park continue to operate in light to moderate rain – lightning in the area is when you’ll see outdoor attractions (read: the entirety of Volcano Bay) close until it has cleared the area. This is all to say: do not let a little rain in the forecast (or, even, rain forecast for the entire day) cause you to falter in your plans. Only thunderstorms for the entire day should cause you to pause and possibly rethink your day. 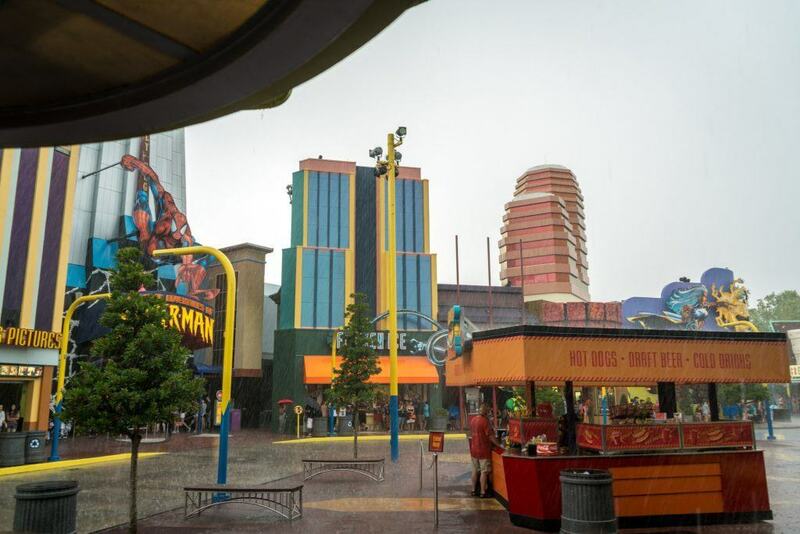 You can visit our weather at Universal Orlando page for average temperatures, rainfall, and more expert advice. It doesn’t matter whether it’s the first day of July or the first day of February – theme parks are always busiest in the middle of the day. You can do your best to plan your visiting days as much as you want, but if you arrive at the parks at 10:00 am and have to leave by 3:00 pm, you’re going to end up feeling like the parks were really busy. Even though it sounds a bit redundant, most people are at the parks when most people are at the parks. That is why it’s always best, regardless of what other factors are involved, to get there early and/or stay late. Luckily, for guests staying on-site at Universal Orlando, you are a hop, skip, and jump away from your hotel. So it’s absolutely no problem to tour the parks from 9:00 am to noon, take a break in the middle of the day to swim or nap, and then come back from 4:00 pm to close. Visit our Universal’s on-site hotels section for so much more resort information and thousands of full-screen photos of the properties. 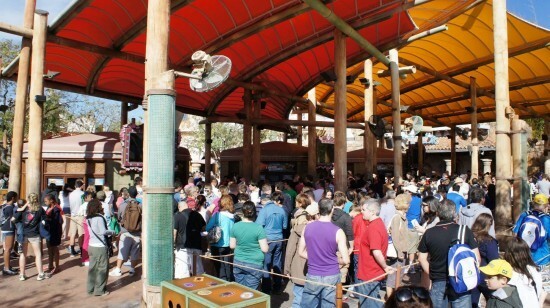 We have finally reached the factor that many guests think is the “trick” to beating the crowds. We can’t tell you how many discussions we’ve read where first-time visitors to Universal ask, “What day of the week is the slowest?” thinking this golden nugget of info is what they need to have a smooth day at Universal’s parks. While there are some theories out there about which day of the week is, indeed, the slowest at Universal, the truth is that – after taking into consideration the elements above – the day-of-the-week factor is almost moot. Yes, of course we’re being a little facetious with our analysis. Yet we see this type of dialogue so much more than we wish we did. The bottom line is if you have taken into consideration every other factor – planning ahead, the season, special events, and getting there early and/or staying late – and if you’ve prepared well by studying our completely-free Universal Orlando vacation-planning guide, well, then you are in a better position than 99.99% of the other guests. And that, our friends, is what will make the difference between the vacation of a lifetime and one you may regret, regardless of what day of the week you go.